Schön! 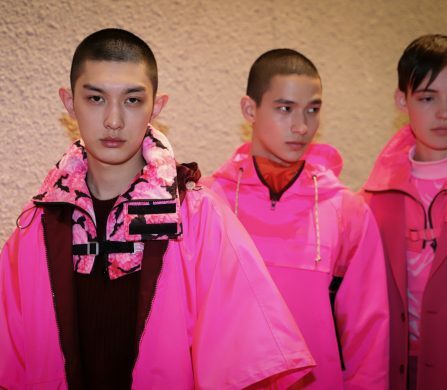 shares some highlights in the second part of its report on the men’s collections, where Richard James delighted us with his homage to the ‘New Edwardians’ – 1950s dandies who took their inspiration from the officer class of the decade before. Lean cut suits, super slim trousers and splashes of peacock colour epitomised this dapper pre-cursor to street style. Another Savile Row resident that impressed us was tailoring brand Kent and Curwen. Its debut collection from new Creative Director Simon Spurr was influenced by British naval dress. We particularly love the unexpected pops of colour in the form of reversible cricket sweaters or driving gloves and umbrellas with matching handles. For coats, iconic outerwear brand Crombie is the first port of call. 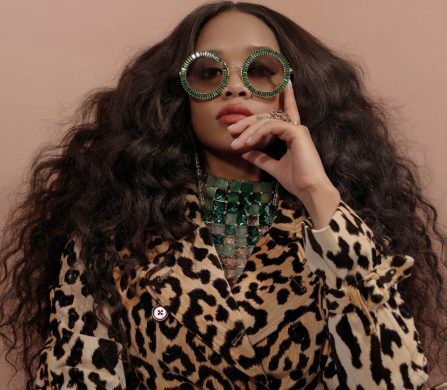 The brand has been given a luxurious update for AW14 by Head of Design Christopher Brogden who talked us through key pieces, such as coats in broken herringbone with astrakhan collars or in bonded leather lined with cashmere and shearling. At Tom Ford, the man himself talked us through the collection. Well known for his sharp and sleek tailoring, this season Mr Ford wanted to also dress the man who doesn’t wear a suit to work, so the focus was on less formal – but no less luxurious – pieces. For the first time he introduced trainers to the collection in the form of tennis shoes or high-tops in velvet or in leather that is hand polished for three days. More casual wear was on offer at Nicole Farhi with a comfortable and informal collection, free from pomp and fuss. Shapes were deconstructed and relaxed in the form of snug shearlings, bouclé tweed sportswear and cashmere track pants. The trend for innovative presentations continued on days two and three. Duchamp recreated the ambience of a gentleman’s club at the Royal Academy of Arts. Actors and models played cards or chess and demonstrated the curious martial art Bartitsu while dressed in corduroy suiting, Scottish tweed three-pieces and print silk evening jackets. 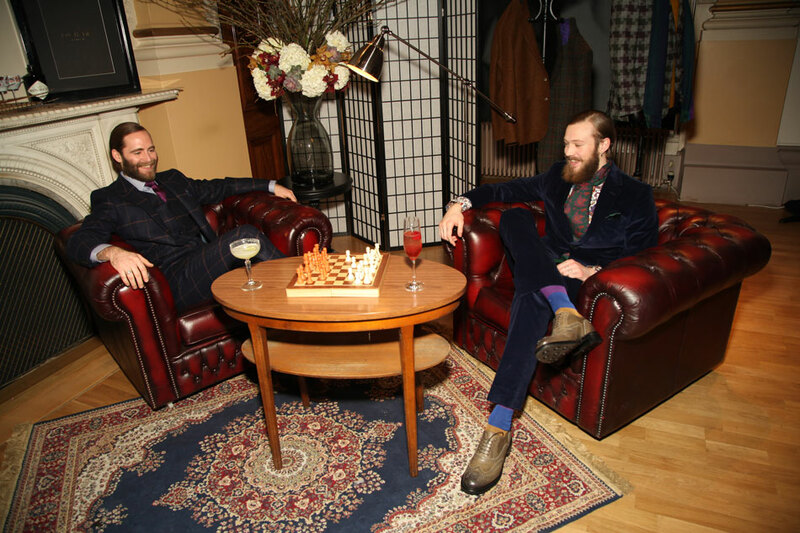 Beautifully staged vignettes at John Lobb showcased updates to the bootmaker’s signature styles, such as the addition of a single strap to the Jodhpur ankle boot and the introduction of buckles in rose gold. 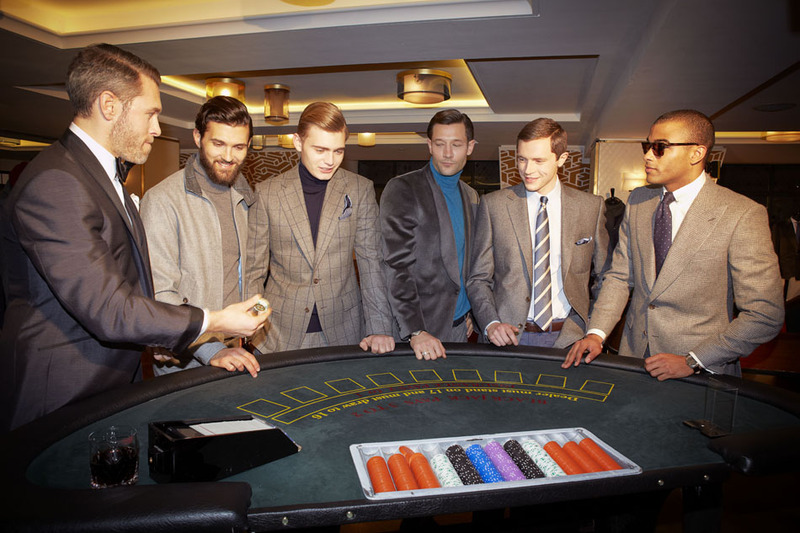 At Chester Barrie, models mingled with guests over the gaming tables at The Club at the Ivy. The award for most outstanding presentation, however, has to go to Savile Row and St. James’s who brought Cabinet War Rooms to life for one night only. 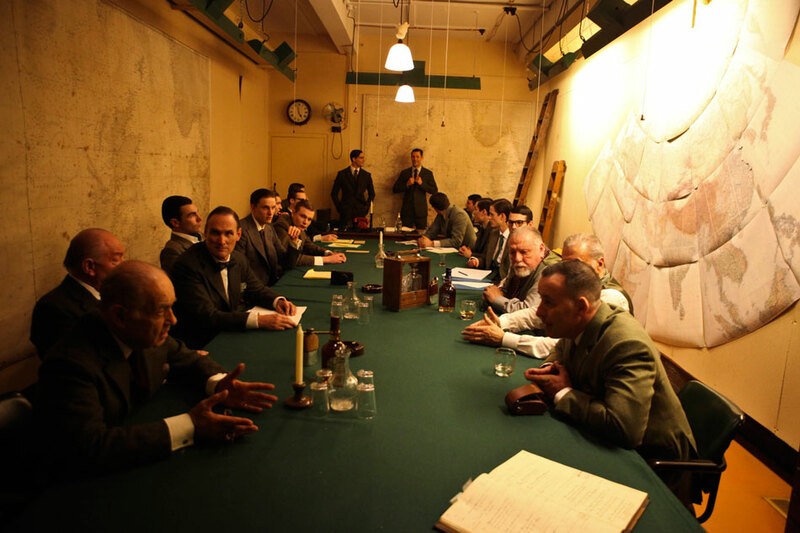 From the Prime Minister’s Room to Churchill’s Kitchen, room after room housed scenes inspired by Cecil Beaton’s Theatre of War photographs, with eighty models and actors dressed by the numerous tailors of Savile Row and the gentleman’s houses of Mayfair and St. James’s. The impeccable attention to detail certainly made this one a night to remember.